Ismo Kajander (b. 1939) is a Finnish artist, photographer, writer and lecturer whose career spans seven decades. 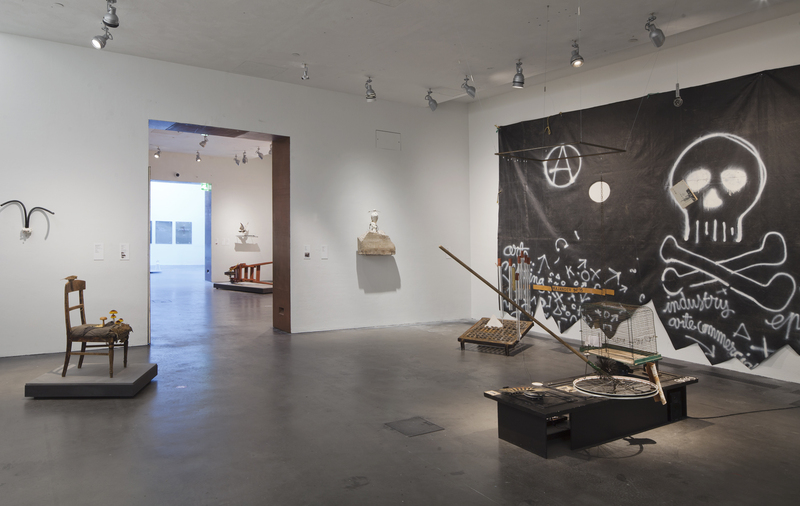 The main focus in this retrospective at the Kiasma contemporary art museum in Helsinki, is on assemblages Kajander makes using everyday ready-made objects. Kajander’s inspiration for the works derives from literature, science and art history. Years in Paris and a spiritual kinship with Dadaists active in the city in earlier decades are apparent in Kajander’s art. His politically oriented intellectual playfulness and rejection of prevalent norms in art both derive from Dadaism. 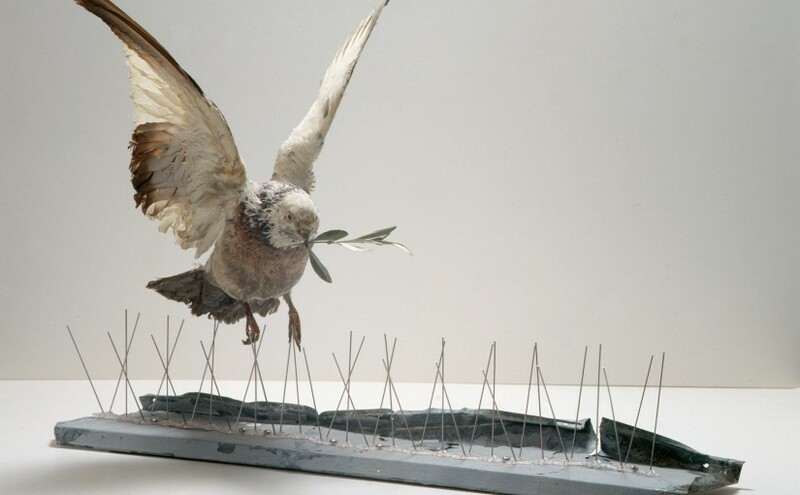 The title of the exhibition, Anartist, is a reference to Kajander’s anarchic position outside the mainstream of art. The exhibition is leading us through many “art mash-ups”, some work with the clearness of the classics and other chaotic ready-made. 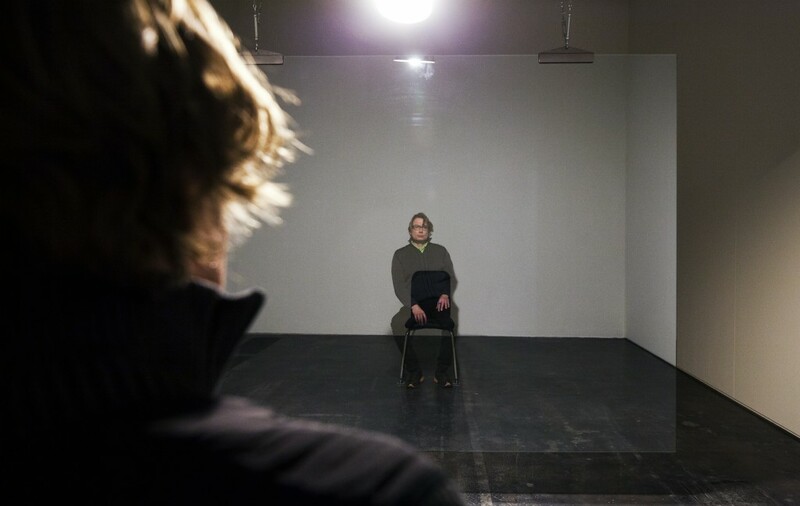 Some artworks contain references to the life of the artist and require notions about Finnish history to be understood, but most of the show is using an artistic language that might be common to the whole western world. The most engaging work is the Music Machine (1964), made with the composer Henrik Otto Donner. 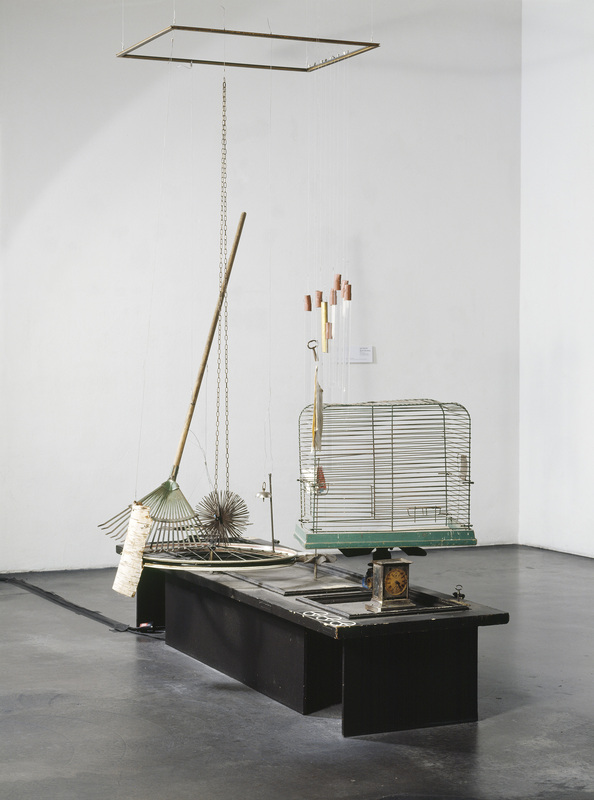 It’s a non-linear combination of the Duchamp’s Bicycle wheel and John Cage’s compositions that imitates the concept of carillon on a ready-made scale, with a bicycle wheel and a rake. The result is a eerie noise that cames over the exhibition’s rooms. 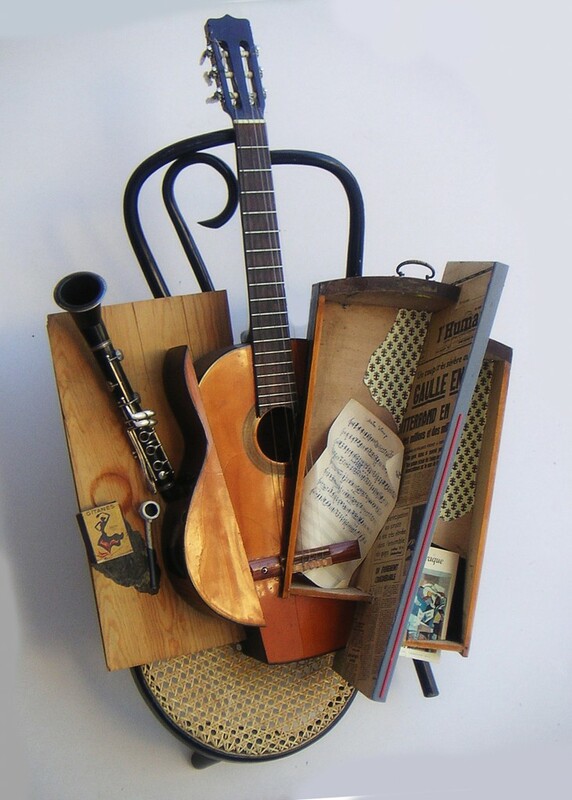 Music comes around as a theme in Guitar and Clarinet (2010) which is the materialization of what we’ve seen in our minds the first time we saw a Picasso. 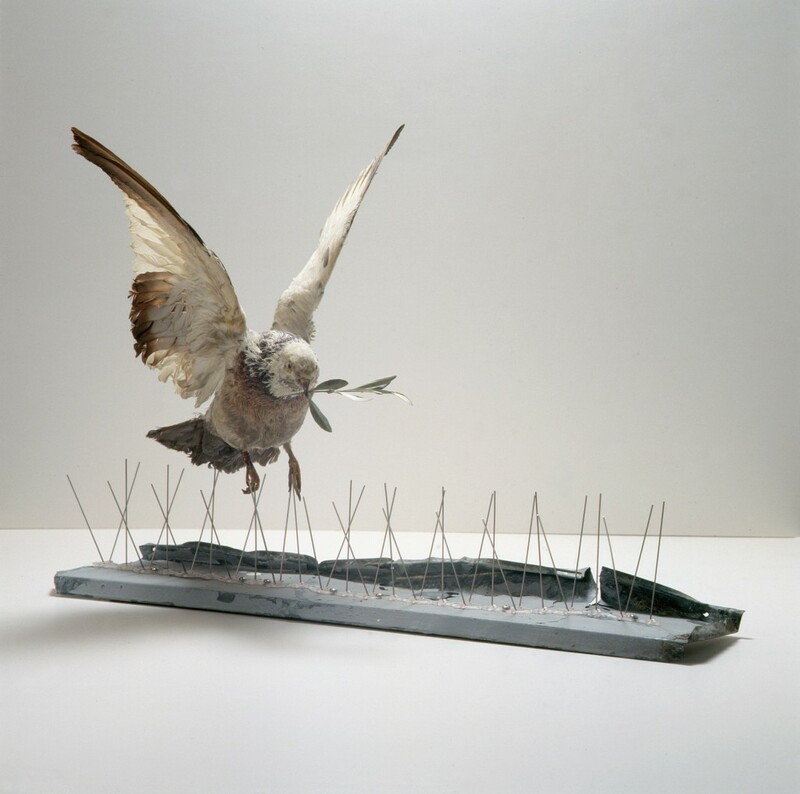 Harsh World (2007) is the most communicative work, its meaning it’s clear and powerful, standing out from the other hard-to-read ready-made compositions. Pro tip for the selfie enthusiasts: don’t miss “Pieni spektaakkeli läheisyydestä” by Lauri Astala” from the permanent exhibition.